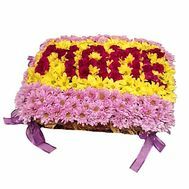 Inscriptions from flowers - a creative gift, with which you can bring your feelings, decorate the celebration and present a symbolic gift that will be clear only to you and the recipient. 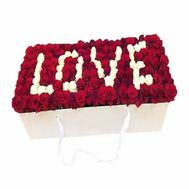 Words from flowers are one of the most unusual kinds of floristry, which is made exclusively by professionals. 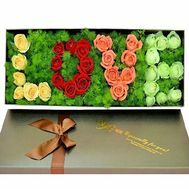 Each bud and each flower are selected individually and rigidly fixed on a floral basis, so that the composition looks holistic and easy to transport. 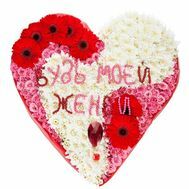 Especially such a gift is useful for real romantics: flowers with the inscription about love are a hit of sales at any time of the year. 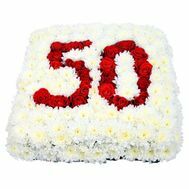 All you need to do is place an order on our website with courier delivery and it will arrive at the right place and at the right time for you. 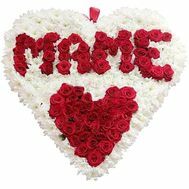 Such kind of compositions are the most pleasant and useful for those who want to say a lot to loved ones and relatives, but can not find words. 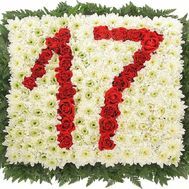 In this case, our experienced florists collect a variety of words, numbers and letters that will have a symbolic meaning for a particular buyer. 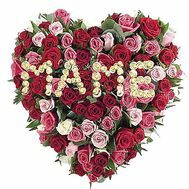 Mother's Day: the inscription "Mama" is a beautiful and bright way to impress the most native woman in your life. 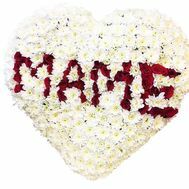 The word "Mama" from flowers will say more than you can yourself, and therefore will be perceived by your beloved mother much better and will be reminded of this moment for weeks. 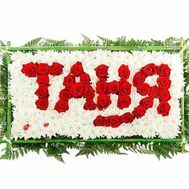 To order an inscription from colors it is possible any: our shop as gives separately flower letters with which help it is possible to lay out any word which is necessary for you. 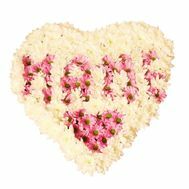 We can find any letters from flowers, as well as the flowers themselves can have a different appearance, variety and a large number of shades. 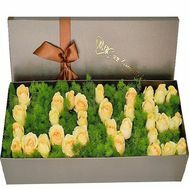 As practice shows, the letter from the flowers in the box is an excellent corporate gift for business reasons. 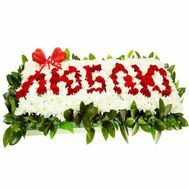 You can choose the letter of the name of your boss or the company as a whole, which will be laid out in a beautiful style and securely fixed for carrying. 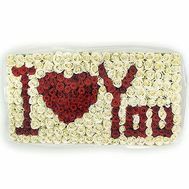 In addition, we have a large selection of presents for your beloved woman. 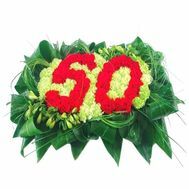 Wish good night or order flowers with the inscription "Good morning", and our delivery service at the specified time will present the present to the recipient. 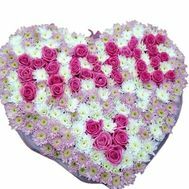 Flowers with inscriptions for a beloved girl is not only a beautiful gift, but also a way to give the attention that she so lacks. 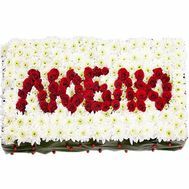 Even in case you quarreled, we will have an excellent present! 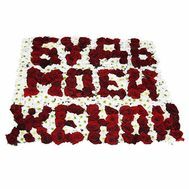 Buy flowers with the inscription "Forgive", and quarrels will absolutely and forever leave your home! 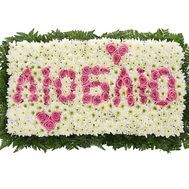 Where is the best place to buy flowers with the inscription? The answer is simple: in our online store, which has more than 10 years of experience and provides a 100% quality guarantee for all of its products. 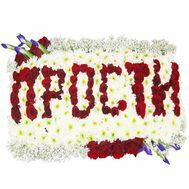 Every second Ukrainian knows that our bouquets and compositions are made only with fresh flowers, because we cooperate with the best suppliers of flower products in Ukraine. 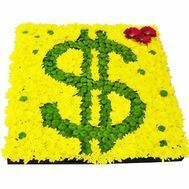 We provide everything that is so important to every buyer: a convenient way of ordering, many payment methods and currencies, timely delivery and much more. 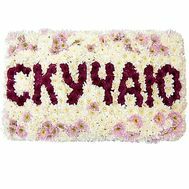 Our couriers also perform free delivery in major cities of Ukraine, which makes your shopping even more enjoyable. 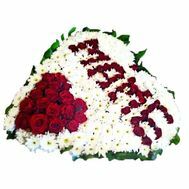 Each our client can add a gift to a bouquet or a composition to choose from our store. 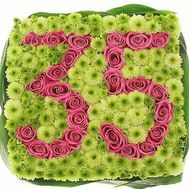 Among them - sweets, toys, fruits and much more. 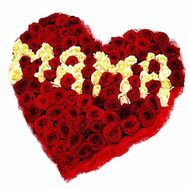 We provide various promotions and discounts for your products, so you can always buy the desired bouquet at reasonable prices. 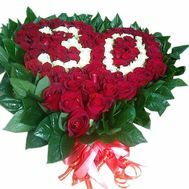 About this and many other things you can read in our reviews and see the photos of the delivered deliveries, where our happy customers show bouquets of our production!